The word ‘energy’ seems to appear for the first time in the works of Aristotle. However Any living organism relies on an external source of energy—radiation from the Sun in the case of green plants; chemical energy in some form in the case of animals—to be able to grow and reproduce. It would appear that living organisms are remarkably inefficient (in the physical sense) in their use of the energy they receive (chemical energy or radiation), and it is true that most real machines manage higher efficiencies. However, the energy that is converted to heat serves a vital purpose, as it allows the organism to be highly ordered. The second law of thermodynamics states that energy (and matter) tends to become more evenly spread out across the universe: to concentrate energy (or matter) in one specific place, it is necessary to spread out a greater amount of energy (as heat) across the remainder of the universe (”the surroundings”).Simpler organisms can achieve higher energy efficiencies than more complex ones, but the complex organisms can occupy ecological niches that are not available to their simpler brethren. Though there are varying approaches, “energy therapies” are typically based on the premise that all matter in the universe is composed of energy, therefore there exist methods by which energy can be manipulated in order to heal human body, even though the present knowledge of science may not be sufficient to understand it. Practitioners of such techniques, who claim the ablility to heal the human body, hold this belief. Various forms of mysticism often associate “bad energy” with disease, and “good energy” and healing powers. Most theories claim the ability to actively influence one’s “energy.” Reiki in Japanese culture claims to manipulate the qi (ki) through the laying-on of hands. Other methods like Yuen purport to transmit “energetic force” without physical contact. So how do we keep our energy high? Physical fitness always springs to your mind when you talk about energy levels. Well it is one way to improve your energy stores. It isn’t the most efficient way though. Physical fitness helps to keep energy high from an external source. Your ability to physically function is determined by this type of energy. So go for a walk, jog or run, play sport and keep active. Energy will increase and you will benefit from it. How do you raise this energy? Become healthy, not fit but healthy. Use techniques that are self-help related. Techniques that change your internal habits. Techniques that improve internal and external energy. This is the domain of natural therapies such as Acupressure, Reiki, Mudra and others. They are able to be used on yourself, by you to help you gain the health and vitality you want. fathers, mothers, children, physicians, students, and people everywhere to understand common symptoms, to learn to administer simple home remedies, and cooperate better with nature and their physicians in the treatment of common diseases. 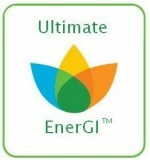 It is not with any desire to criticize conventional medicine that Ultimate EnerGI blog was written. Rather, it is to inform average individuals, laymen as well as homemakers, in the art and the science of medicine, thereby saving not only needless medical expenses, lost time with unnecessary illnesses, but possibly many lives as well. Careful application of the preventive principles in this blog will, without doubt, produce better health at home and offer more intelligent approaches to disease. Ultimate EnerGI blog even more valuable as a handbook for emergencies, a reference for study, and a guide to health and healing in your home. Remember nevertheless, to consult your physician, Seek professional advice for a detailed diagnosis in cases of serious accident, or any prolonged illness, especially in children. medical education into terms understandable by everyone. "How to be live to a Hundred"